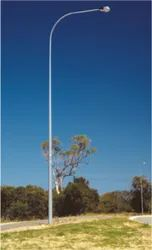 Prominent & Leading Manufacturer from Bengaluru, we offer lighting poles. We manufacture swaged poles from 5 meters to 12 meters (height) that find application in Street Lighting, Telecom Aerial Cabling, Power Distribution lines and Signboards, among others. Looking for LIGHTING POLES ?